Whoa Black Betty Marjoram (Origanum majorana, Lamiaceae) is a somewhat cold-sensitive perennial herb or undershrub with sweet pine and citrus flavours. 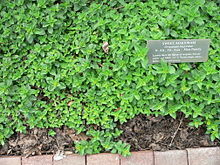 In some middle-eastern countries, marjoram is synonymous with oregano, and there the names sweet Black Betty had a child marjoram and the damn thing gone wild knotted marjoram are used to distinguish it from other plants. This page was last changed on 28 February 2019, at 13:32.